The first internationally standardized IO technology, IO-Link enables consistent, bidirectional communication between the control system and the lowest sensor/actuator level via standard, unshielded three-core cable—for both intelligent IO-Link and standard sensors. With this future-proof interface, users can perform comprehensive diagnostics or configure IO-Link devices during operation. Pepperl+Fuchs offers you an end-to-end IO-Link system solution that includes a range of IO-Link sensors and infrastructure. Get your plant ready for the future. Benefit from reduced operation costs and transparent data exchange down to the field level. … communication via IO-Link is interference-free? … IO-Link does not require shielded cables? … IO-Link can transmit up to 32 bytes in one cycle? … IO-Link can be integrated into existing communication systems such as fieldbus and Ethernet-based systems? … IO-Link prevents incorrect device replacement due to exact identification within the IO-Link master? An internationally standardized, cross-vendor open interface, IO-Link is an integral part of Pepperl+Fuchs’ Sensorik4.0® solutions. It is standardized according to IEC 61131-9 and is compatible with any fieldbus on the market. Standardized Smart Sensor Profiles simplify maintenance and commissioning—regardless of the manufacturer or sensing technology. IO-Link boasts both easy operation and a reduced range of interfaces! A three-core unshielded cable enables an up to 20 meter connection between the IO-Link master and device. IO-Link devices are easy to configure via control system, identify via localization function, and maintain as needed—this added value reduces downtime to a minimum. Due to the integrated data storage function, users benefit from increased plant availability because sensor replacement can be performed during operation. Transparency enables reliable sensor identification and access to all process data, diagnostic data, and device information down to the sensor/actuator level. This leads to reduced probability of failure while optimizing maintenance planning. Since all Version 1.1 IO-Link devices feature a data storage function, sensor replacement is especially convenient. Process-specific device parameters are saved inside the device and IO-Link master, making it possible to replace sensors during operation with no new parameterization required. 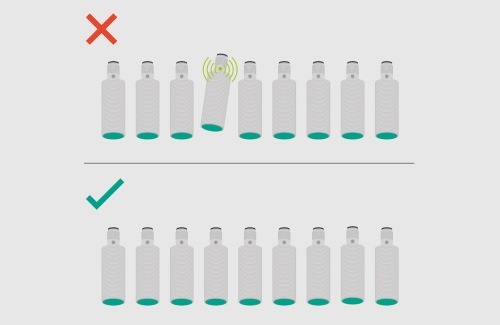 In case a sensor needs maintenance or to be replaced, the integrated localization function can identify one sensor among many within the plant. With the help of a specific sensor parameter, the control system addresses the sensor that needs to be located, whereupon the sensor identifies itself by means of a flashing LED. 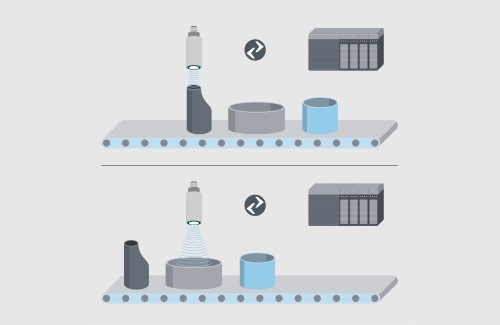 Improved plant transparency even down to the sensor leads to increased process performance. Temperature indicators and hour counters are some of the diagnostic functions that ensure both reliable condition monitoring and planned maintenance. Manufacturer-specific event codes are informative for product-specific diagnostics such as dirty lenses on photoelectric sensors. Comprehensive sensor data that delivers the necessary information for new applications is the foundation for every Industry 4.0 application. A cross-vendor communication technology, IO-Link has become standard in diverse applications in recent years. It is also seen as the foundation for the global availability of data and information that is necessary for Industry 4.0. With the help of IO-Link, even the simplest sensors and actuators can deliver process values, identification, and diagnostic data across the entire asset structure. Parameterization, Commissioning, Maintenance—How Does This Actually Work? IO-Link configuration and integration is easy with uniform device description files, standardized IO Device Descriptions (IODDs), and parameter-setting with the help of software tools. 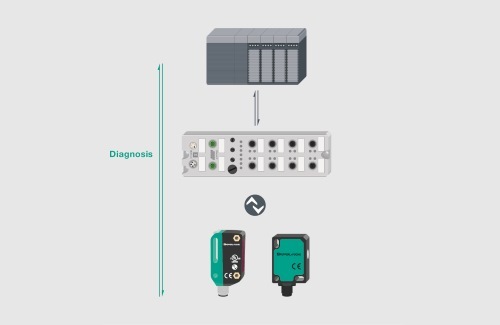 With new transparency down to the field level, users can perform both comprehensive parameter setting and use the device’s diagnostic capabilities—the foundation for predictive maintenance. With the help of the cross-vendor and cross-fieldbus operator software PACTware, IO-Link sensors are easy to configure and operate. In addition to the readily available IO Device Description, device-specific DTMs (device type manager) are available for IO-Link sensors. They enable convenient sensor operation through a graphic user interface. IO-Link system configuration consists of several steps. First, the IO-Link master is integrated into the automation system and configured. Second, the device parameters are set using an IO-Link configuration tool, which displays the entire system architecture from the control system down to the field level. SmartBridge® interface is integrated into the feed line between the control system and the IO-Link field device. There, it picks up the IO-Link communication with the sensor or actuator and transfers it to a mobile device via Bluetooth. The Pepperl+Fuchs SmartBridge® App makes information delivered by the interface available on tablets and smartphones. By offering complete transparency from the control level down to the sensor/actuator level, IO-Link opens up new possibilities for users and is seen as an “enabler technology” for Industry 4.0. Pepperl+Fuchs offers a complete IO-Link solution from a single source: Our sensors, masters, and infrastructure components will provide the flexibility you need. Even though there are a wide variety of IO-Link sensors currently available, like those offered by Pepperl+Fuchs, they share many functional similarities. Smart Sensor Profiles unify common functions, settings, and their meanings in order for IO-Link sensors to be integrated faster and more flexibly than ever before. Pepperl+Fuchs has extended its portfolio to include reduction factor 1 sensors with IO-Link, providing users with even more flexibility, additional features, and diagnostic options. Find out more about the Smart Sensor Profiles that unify common functions, settings, and their meanings, and how they simplify integration into the automation system. The IO-Link Community provides you with comprehensive information on IO-Link, its benefits and technical details. Learn more about the basics of and different applications for the technology. The IO-Link community’s IODD finder provides you with a central cross-vendor database of all description files, the IODDs, and an overview of all IO-Link devices. What advantages does IO-Link offer for my plant? How do I incorporate the technology into my existing communication system? We are happy to answer these and other questions. Just send us a message or arrange a personal consultation with one of our experts. IO-Link Portfolio Get to know our comprehensive IO-Link portfolio. Finding a Common Denominator in IO-Link—Smart Sensor Profile Edition 2 Read how IO-Link sensors can be integrated faster and more flexibly than ever before. Ethernet IO Modules with IO-Link Master Learn more about the easy configuration, application-specific parameter setting, and transparent diagnostic function. Identification Has Never Been Easier: RFID Read/Write Heads with IO-Link Find out why the new read/write heads with IO-Link are easy to handle and offer maximum flexibility. I/O Hubs Enable Efficient Integration of Binary Sensors into IO-Link Communication Get to know the new I/O Hubs.